One of the reasons I am so excited by nature photography is the fact that I live only a few miles from the best of the Appalachian Mountains. Each year I make regular sojourns to three areas in particular: Great Smoky Mountains, Blue Ridge Parkway, and Cherohala Skyway. Let me tell you about my favorite spots in each place. I’ve been going to the Smokies for over 40 years and haven’t tired of it yet. When I find myself walking around in Cades Cove, I often close my eyes and just listen to the sounds. I sense the history of the ancient mountains surrounding me and feel like I’m a time traveler. I imagine myself standing here 1000 years ago when the Cherokee Indian nation lived a peaceful life here in the cove between the ridges. It isn’t hard to imagine a Cherokee hunter standing where I am standing. He is looking for game to take back to his family and walks quietly with his bow at the ready, stalking a white-tailed deer. He gets the shot. I find myself doing the same, stalking a white-tailed deer and getting the shot—with my Nikon and AF Nikkor 80-400mm VR lens. 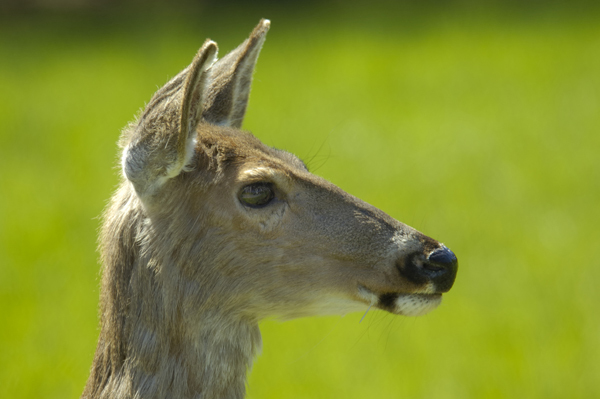 The deer are quite tame in the Smokies since they are rarely hunted and are used to seeing people. The Cades Cove area of the Smoky Mountains teems with wildlife. It is not uncommon to see deer, bears, raccoons, skunks, squirrels, salamanders, newts, birds, and fish, all in just one day. 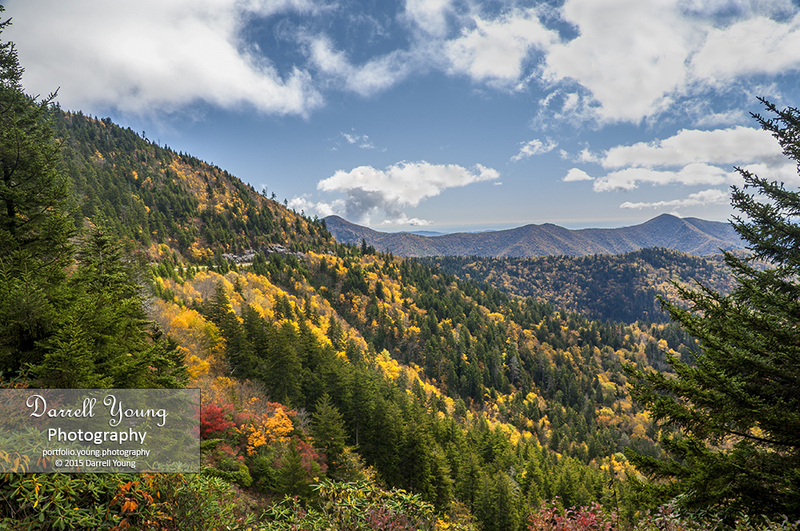 When you come to the Smokies, bring large memory cards and extra batteries, you’ll need them. Just down the road from Cades Cove is an out-of-the-way place that few know about. It is called Tremont. The middle prong of the Little Pigeon River flows through this area. It is a nature photographer’s delight, with world class views of an often roaring mountain-fed river having many cascades and waterfalls. To take a flowing stream shot like this one, you’ll need to use the equipment and guidelines I mention in this article: Capturing Beautiful Waterfalls and Cascades. Marketing Fine Art Photography by Alain Briot (published by Rocky Nook). I highly recommend Alain’s book if you are interested in selling your images as fine art. It will teach you all the tricks! Then there’s Morton’s Overlook just below Newfound Gap on the Tennessee and North Carolina border. Sunsets at this location can yield some awesome images. If you have spent a great day in the Smokies and are ready to wind down, come to Morton’s Overlook and just sit on the rock wall watching the sun set. My wife and I did this recently and here are a couple of the scenes we captured. 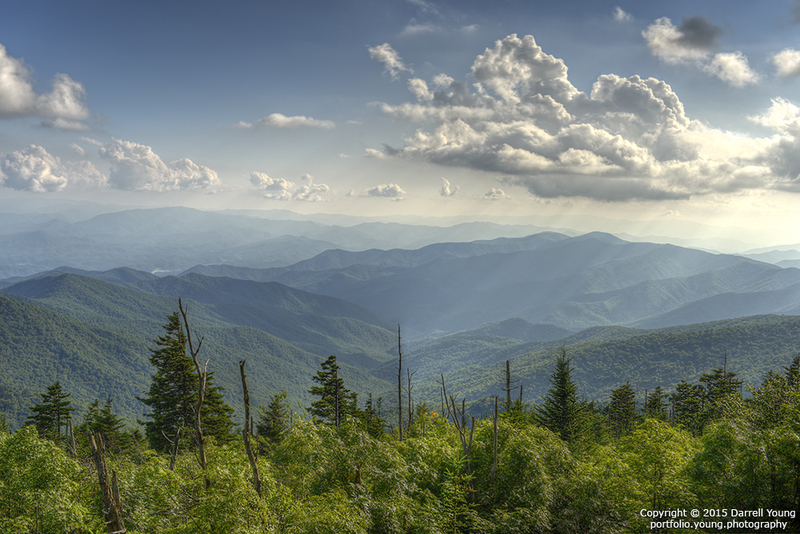 From near Clingman’s Dome in the Smokies, one can see a long distance when the air is clear. Of course, in the Smokies, the air is seldom completely clear. They are called the Smokies for a reason. However, the misty look of the ancient Smoky Mountains in the Appalachian chain surely makes me feel calm. I love to capture this scenic beauty to be enjoyed for many years to come. 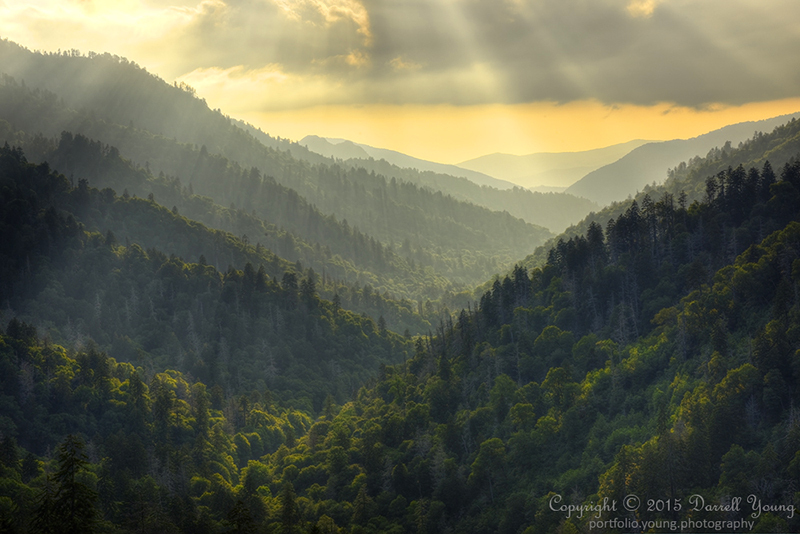 God beams shine on the ancient land in the Appalachian Mountains of Great Smoky Mountains National Park from the Clingman’s Dome area, in North Carolina, USA. I took the pictures above with my Nikon on a tripod, using smaller apertures in the f/8 to f/11 range, Matrix metering, and Aperture priority auto mode (A). 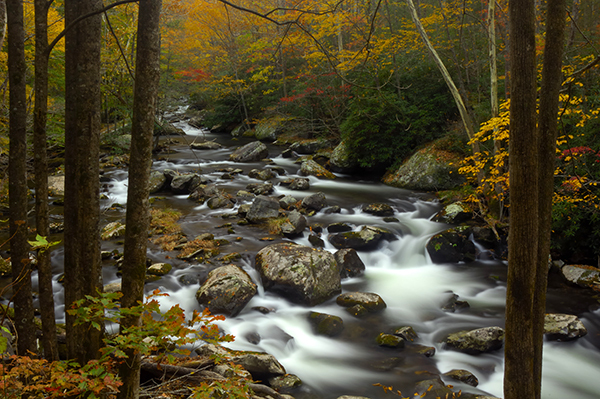 All you have to do in the Smokies is be there and be willing to shoot! Nature will put on a show for you. 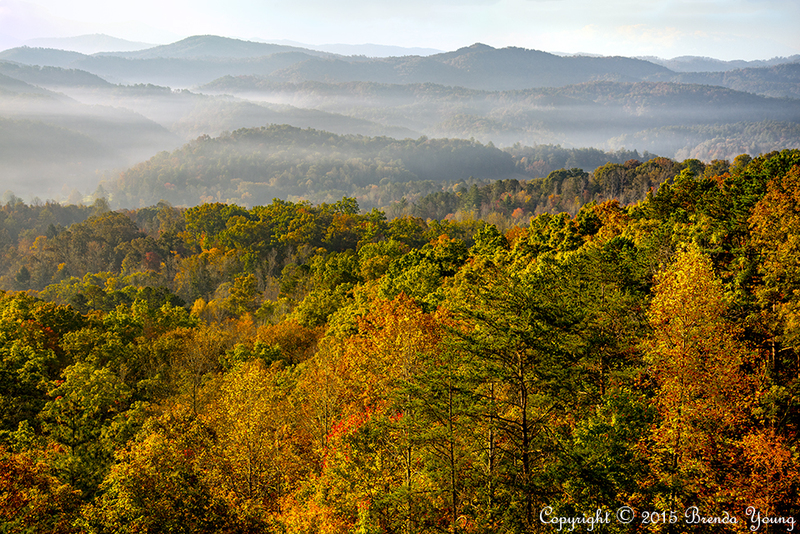 Great Smoky Mountains National Park in the autumn of the year is one of the most beautiful places on earth. F/8 and be there! 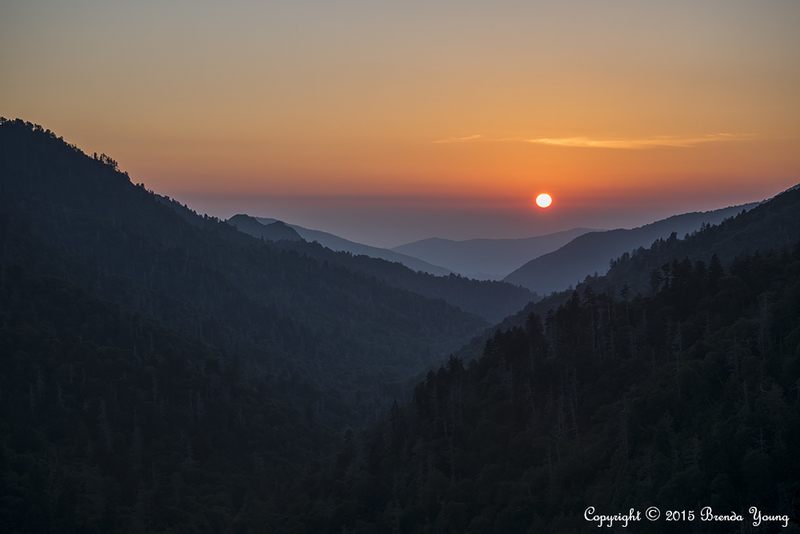 Photographing the Great Smoky Mountains by Jim Hargan. The Blue Ridge Parkway is a 469 mile National Park stretching from Shenandoah National Park in Virginia to Great Smoky Mountains National Park in Cherokee, North Carolina, USA. 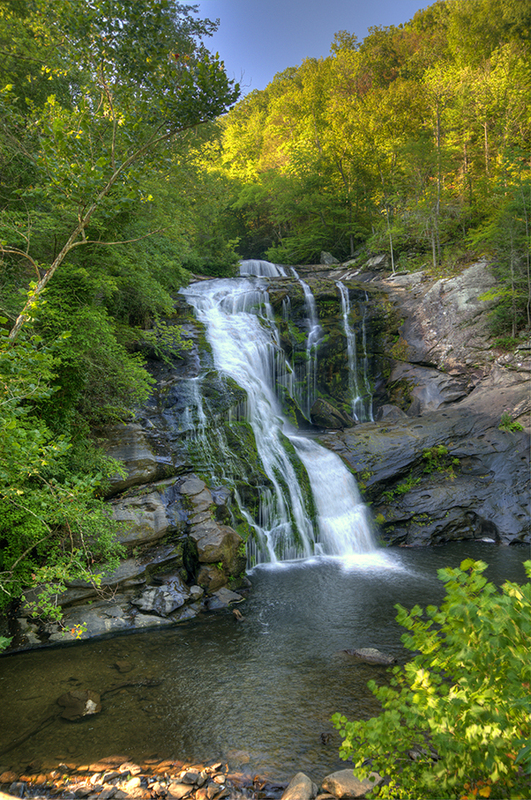 Except where the parkway runs through local cities, such as Asheville, North Carolina, the entire parkway is wilderness territory. Bring plenty of food and make sure your car is full of gas, there are no gas stations, although there are exits from the parkway into smaller towns where gasoline and lodging is available. Along the parkway you will experience protected mountain views with nothing visible except for amazing mountain scenes. The Department of the Interior will not allow any man-made construction to be seen from the overlooks for 25 miles away from the mountain. You will experience a true wilderness environment on an easy to drive paved roadway. Plan on taking two or three days to drive the parkway. More if you stop as often as most photographers, to get simply breathtaking views from thousands of feet up. All of these pictures were taken with a Nikon DSLR (either a D810, D750, D2X, D300, or D300S). I sometimes use older manual focus AI Nikkors for scenics like this, especially the 35mm f/2. Recently, I’ve been shooting a lot of landscapes with Nikon’s AF-S Nikkor 24-70mm f/2.8G ED lens and it has become a strong favorite of mine. I have always used a tripod and remote release cable for this type of shot. All of my landscape images are made with a Hoya HD circular polarizer to remove reflections from the colorful leaves, deepening the natural color saturation. When you shoot landscapes, please use a polarizer and dial out reflections. You will make images that less-experienced photographers only wish they could make. 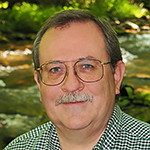 The Photographer’s Guide to the Blue Ridge Parkway by Jim Hargan. In comparison to the Great Smokies and Blue Ridge Parkway, the Cherohala Skyway is not a well known place; therefore, there are less people around. This only adds to the opportunities for superior photography. The Cherohala Skyway has a very interesting history. Back in 1958 at a Kiwanas Club meeting in Tellico Plains, a joke was made that the only roads into North Carolina from Tennessee were the original roads made by settlers taking wagon trains west in the 1800’s. An idea was proposed to bring attention to this fact by having a wagon train from Tellico Plains to Robbinsville, North Carolina. This was done and developed into a tradition. Once a year, from that time forward, the wagon train would make its trip. This caught the interest of local and national political leaders. Over forty years later, a 52 mile two-lane blacktop highway was created at the cost of over $100 Million Dollars. On October 12, 1996, the Cherohala Skyway was officially opened. 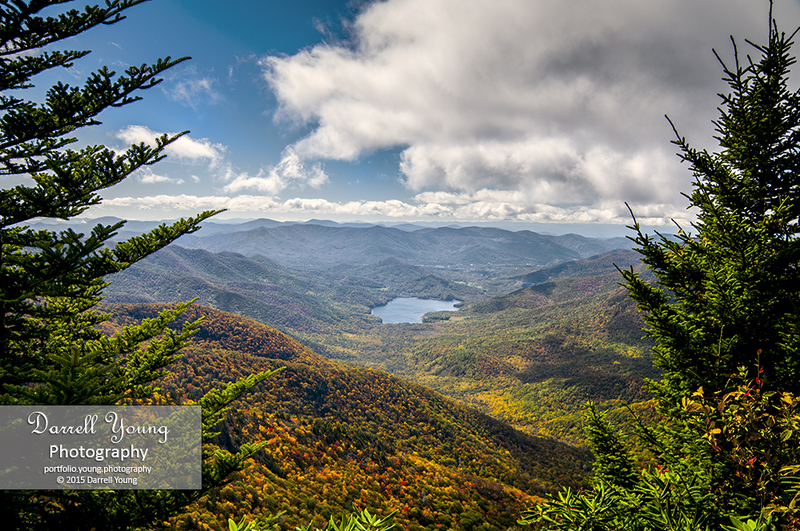 In April 1997 North Carolina recognized the Skyway by declaring it a “Scenic Byway.” Later it became recognized as a “National Scenic Byway.” The name Cherohala comes from the combination of two national forest names. 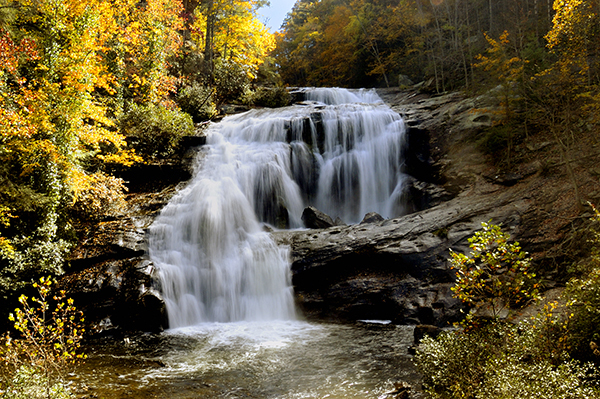 The Cherokee and Nantahala National Forest names were combined to form the word Cherohala. Cherohala Skyway begins in Tellico Plains of Monroe County Tennessee and ends 50+ miles later in Robbins North Carolina. That fifty mile drive across the National Scenic Byway is one of personal enjoyment and beauty. In my experience, it takes about three or four hours to make the drive. I’ll stop at the overlooks and sit for a few minutes—enjoying the deep mountain view. The wind is invariably blowing and provides a respite from summer heat. 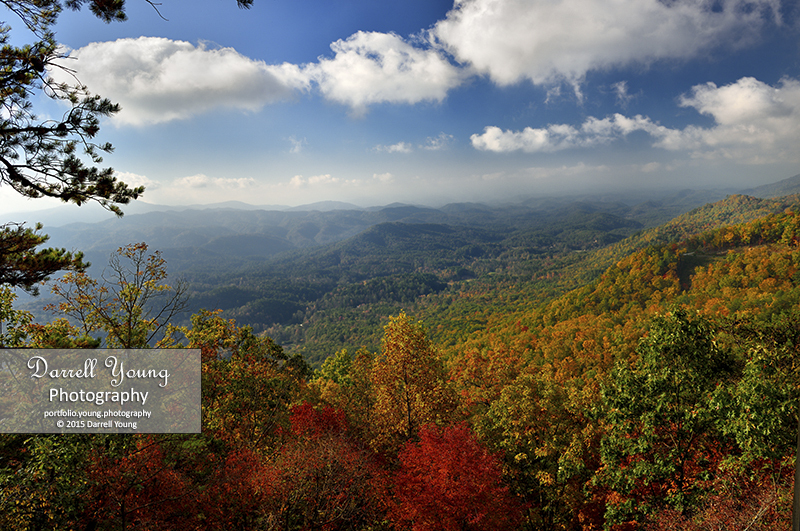 My favorite time to travel the Cherohala Skyway is in Autumn since the colors are often spectacular. It’s always much more fun to have a companion or two with you on the Skyway. I often take photographer buddies with me. We’ll set up our tripods and see who can take the best pictures. Later it’s a lot of fun to compare the images and see who got that coveted masterpiece for their blog, album, or wall. 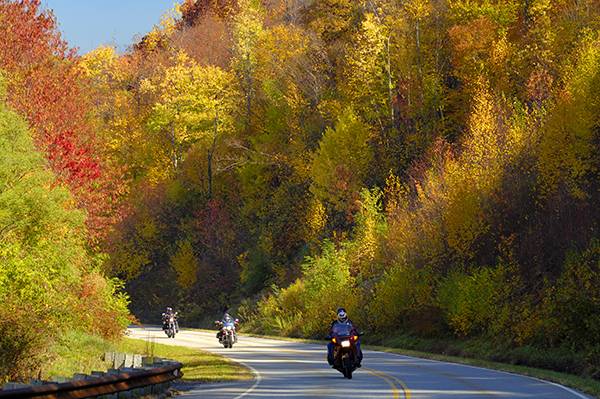 The Cherohala Skyway is like a short version of the Blue Ridge Parkway. Instead of the hundreds of miles on the Blue Ridge Parkway, the 50 miles of the Cherohala Skyway is about a half-day’s trip; when time is allowed for stopping at the most impressive overlooks. If you are on the parkway with a bunch of fanatical Nikonians—like I often am—you might even wring a full day out of it. When you are traveling the Skyway, you can pull off on the wide shoulders of the road and at overlooks for some really spectacular images. Bring large memory cards for your camera and prepare to come home with some of the most beautiful images you’ve ever taken. Also bring lots of food and gasoline, you’ll not want to leave soon. The only “problem” I can detect on the Skyway is that it ends in the middle of nowhere in North Carolina. To get back to civilization one has to either reverse course back down the Skyway, or travel toward Maryville Tennessee on a road called the Dragon’s Tail. This road is highway 129 from Robbins NC to Maryville TN. The Dragon has an enormous number of deep curves that allow a biker to lay their cycle over on its side in a sweeping turn. For this reason the Skyway is frequented by sometimes hundreds of motorcyclists and sport’s car drivers as they travel toward the twisty Dragon road at the end of the Skyway. Plan on allowing a couple of hours travel time into Maryville due to the heavy cycle, sport traffic, and endless curves of the Dragon. When you’re driving along the Dragon’s Tail, there are now many pulloffs that allow you to get out of the way of the enthusiastic bikers as they lean into the curves with gusto. Please do let the bikes and sport’s cars get by since many of them have traveled a long distance to get to the famous road and want to enjoy themselves. There have been many many accidents due to the disparity between the speed of the bikes and cars. Also, be prepared to have your picture taken as you drive along the Dragon. There are a number of websites that station photographers along the Dragon and take your picture as you drive by. They even photograph the family van on the move. You can then go to one of the websites and buy your photo as you drive along avoiding bikers. Practical HDRI, 2nd Edition (published by Rocky Nook). Following is a sample HDR picture with three separate images combined, each having a 2-stop difference in exposure. I was able to capture the darker water, and the bright sunlit foliage and sky all in one image with HDR. Using HDR doesn’t mean your image has to look garish and strange. It can simply be used to capture dynamic range in your images that would be very difficult if not impossible otherwise, as my image proves. Get Jack’s HDR book and learn how! 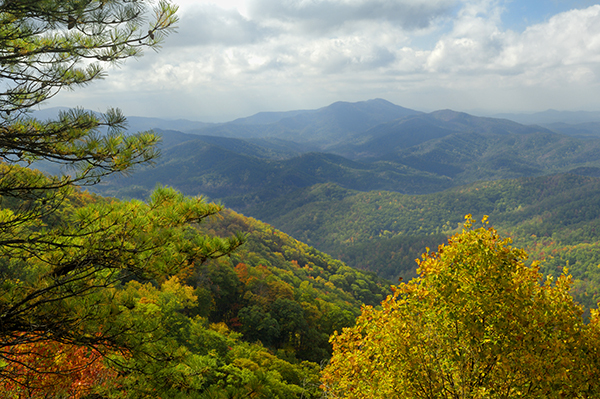 Backroads of North Carolina: Your Guide to Great Day Trips & Weekend Getaways, by Kevin Adams. Alternatively, do a Google search on Smoky Mountains, Blue Ridge Parkway, or Cherohala Skyway and you’ll find a plethora of free maps and guides to the areas. If you see a white Jeep Wrangler parked alongside the road, and a few guys with Nikons and tripods, stop and say hello. I’m sure it’ll be me and my Nikonian buddies. Thanks for taking a trip with me. See you in the mountains! That was a great read. I wanted to go there this fall but too late now, maybe next year. My plan was to travel from Maine all the way down the coast hitting friends and family in cut and ny and nc as I go. Nature is my favorite subject to shoot as well. I enjoyed your Appalachian article, especially since I very well be in the Blue Ridge Mountains area next year visiting family in the Roanoke VA area. Thanks for the helpful suggestions. I know fall is the best season to go but we very well be traveling during the May time frame. Any suggestions on shooting during that period of time? I can’t wait to get shots like this when I got to TN every year in November. The landscape there is so photogenic you don’t have to look very far for gorgeous shots.